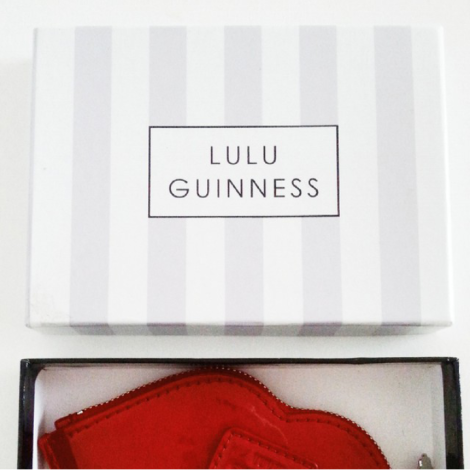 Lulu Guinness is a brand that I have been lusting after for a very very long time. To start with, her designs centre around RED LIPS, yes, I repeat, RED LIPS, which is my all time signature make up look and also my favourite make up product. Also, Lulu herself is just lovely. Her style is classic but quirky, a woman after my own heart! For Christmas, my parents surprised me with a Lulu Guinness purse, which was so so unexpected, but which I am so so grateful for! The simplicity of the design but the unique style is perfect. Who doesn't want a purse shaped like some luscious red lips? The purse simply has one zip to open, with a gorgeous delicate zip handle in silver. The pattern on the inside is chic and the brand is printed on the front but blends effortlessly in with the design. If you, like me, are a Lulu Guinness fan, I would definitely snap this up whilst you can at almost half price! Go go go!